Home 2017 September 19 Why don’t I like sharks? For one thing, I am afraid of the ocean, it’s just full of all sorts of things that can kill you. I like staying on the beach because it’s safe and the waves or currents don’t get a chance to drown you. I know the movie Jaws is an inaccurate depiction of how sharks truly act, but it still makes me see sharks swimming beneath me. When you go out a ways, there’s a drop off where anything can just crawl out of the depths. Then there’s that other part where you can’t stop swimming or you’ll drown, you don’t want to be too far out in the ocean when this happens. I really want to know whether sharks are as bad as they seem? I know there was a lot of commentary that the movie was wrong about some things, but I didn’t know what exactly. Do sharks really swim on their own or in packs? In the movie, the shark is called a “rogue shark” by some of the characters. I always thought they swam and hunted in packs, so I’m curious to see if I was wrong. I learned that there is no such thing as rogue sharks like they say in the movie. 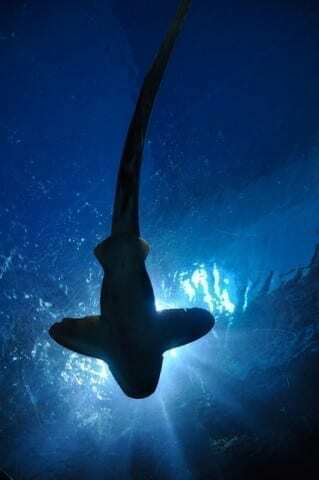 Depending on the shark, they do swim in groups or pairs (Shark Social Structure). I also learned that sharks can be pretty nice and not all are as vicious as the media makes them. Then I wasn’t really surprised that most of the reasons that people get attacked by sharks is because they are provoked in a way. People who are diving might grab at one, and that is a stupid thing to do (Why do…). Sharks I guess, aren’t as bad as I thought they were. Why don’t I like sharks? by Angelica is licensed under a Creative Commons Attribution-ShareAlike 4.0 International License. I agree with your view about how sharks are I believe they aren’t as aggressive as people believe they are but they can attack someone if there mistaken as food.